Summary: Technology can blur the sense of connection between a bank and its customer. How community banks can stay connected in the tech age. The origins of sleep are interesting to ponder. Humans are generally supposed to get 7 to 9 hours, while teenagers should be around 8 to 10 hours and older adults are supposed to be more like 7 to 8 hours. Sleep is important and it was believed to only occur in organisms that have a nervous system. 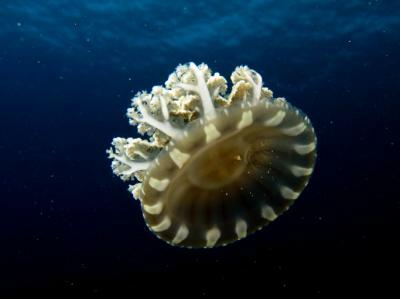 A new finding blows that away, as scientists have found a certain kind of jellyfish with no central nervous system appears to "sleep". This means that the evolution of sleep in organisms may be much earlier than previously understood. Whether this will change how many hours we should or are supposed to sleep remains an open question. Whether you sleep much or not, bankers have awakened to the simple fact that it is becoming more difficult to avoid interactions with technology companies. In digital banking, some banks are becoming more reliant on such things as application programming interfaces (APIs) and cloud-based storage. Many banks are also using third party vendors to do these. This seems to all be in the name of progress, but there is a risk that if such integration becomes too seamless for customers, it could ultimately prove costly. Consider that major technology companies, such as Amazon and Google, accommodate a growing number of customer purchases every single day. This includes storing bank account and credit card information. Because of that, there is a possibility that customers could gradually lose any sense of being connected to traditional banks. If that happens, community banks would need to work even harder to differentiate themselves. The question bankers are struggling with is when and how best to partner with fintechs. Doing this right could add opportunity and expand capabilities, while doing it wrong could result in regulatory scrutiny and issues. A report from the World Economic Forum examining the impact of fintechs might provide some things to consider. It found that ownership of the customer interface will prove to be one of the most important factors in determining customers' future behaviors. Knowing this, if partnering with a fintech is done in a way where customers interact with the fintech and its brand, your bank can lose connection and that can have a detrimental impact. Also of consideration, research by Accenture finds 50% of millennials would be willing to sever ties with traditional banks in favor of banking services from more tech oriented providers. So, to stay in the mix you have to stay top of mind too. One way to do so is create brand recognition in a unique way makes your bank continually memorable in customer's minds. While that may be easier said than done in this soundbite and digitally social world, there are ways to approach it so keep experimenting. One $250mm community bank in OK we surfaced was successful in using such brand recognition to reposition themselves as a friendly bank within their community. They leverage social media and a bank-sponsored street fair among other methods to keep their brand top of mind in the community. One of the critical components cited by the CEO is the importance of authenticity in marketing activities for real impact. In fact, she says she personally engages with bank customers and prospects on social media to keep communication open and on-message. Communicating directly with customers on social media may not be possible for all community bank CEOs, but it can still be leveraged. The goal is to stay connected to your customers even as you move forward with newer technologies. As you evolve technically, be sure as well to remind your customers often of the value you provide in helping them reach their goals and of the strong relationship built over time. Doing so will also help keep them awake to your offerings as you keep moving forward. Yields were little changed as investors focused on the 30Y bond auction and details from the Senate's tax plan. 1) Suncrest Bank ($529mm, CA) will acquire Community Business Bank ($325mm, CA) for about $62.5mm in cash (50%) and stock (50%) or about 1.86x tangible book. Acting Comptroller of the Currency Noreika said regulations that prohibit companies such as Walmart and a host of others from offering banking services should be reviewed because they reduce competition and concentrate more risk among a smaller number of banks. He also said allowing non-financial companies to run banks could increase competition and add diversity to the system. The CEO of Wells Fargo said he does not believe that Apple or Amazon want to become a bank. We will have to see but many bankers out there are certainly spooked by the possibility.